IGFA rules stipulate - " Fishing is a sport in which you engage with the fish on equal terms in the natural environment, we have high respect and deep appreciation for nature, and must always be fair to the fishes that are our rivals, and at the same time, to our fellow anglers who are our partners at all times." 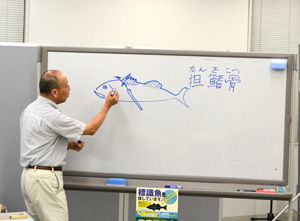 JGFA bases its all activities on the “fairness” belief, and aims at the realization of sustainable angling in Japan and in the world. 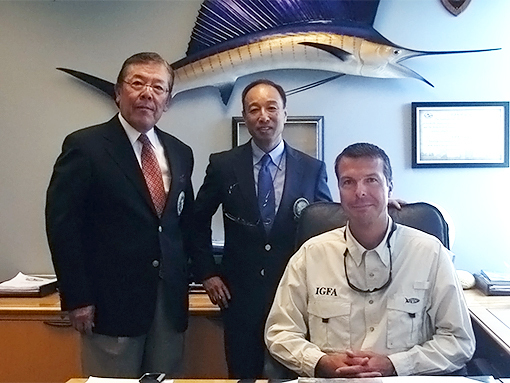 JGFA hosts the now-famous Japan International Billfish Tournment (JIBT) that grew to one of the largest honor tournament in the world, plus numerous contests that can be entered on-line. It also provides support and guidance to events that employ IGFA rules and will send official judges if requested. In response to the requests from its members, JGFA conducts seminars and study courses on angling, conservation and tag & release. It also certifies official judges annually. 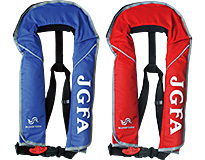 JGFA offers original shirts, patches, floatation devices, stickers, tagging hardware and miscellaneous items. It also carry IGFA logo merchandise. 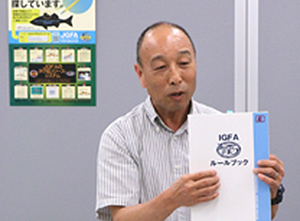 JGFA publishes yearbook that contain list of Japan records, angling articles, tagging report and information on ethical angling. Copies are available at cost (1,000 yen including postage).